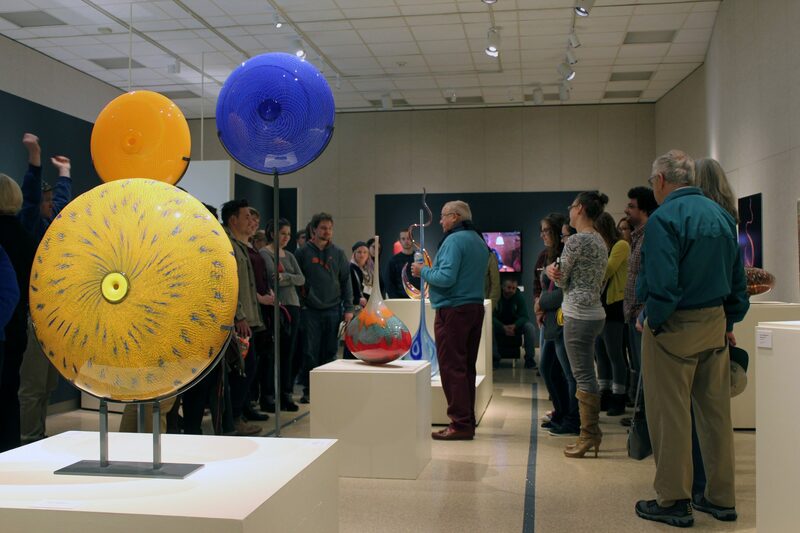 On April 5th, Bergstrom-Mahler Museum of Glass celebrates 60 years of serving our community as a free museum, where all are welcome to relax, learn and connect with their inner artist. 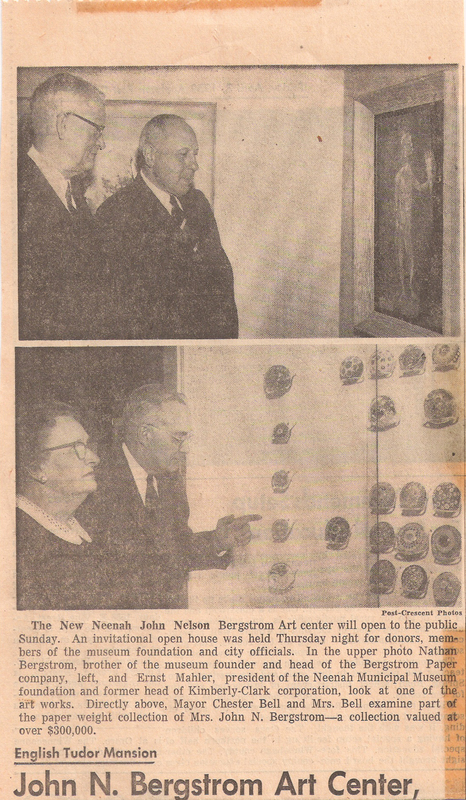 What the museum has evolved to today was made possible by the generosity and foresight of Evangeline and John Nelson Bergstrom and a core of Neenah citizens dedicated to building a cultural center. 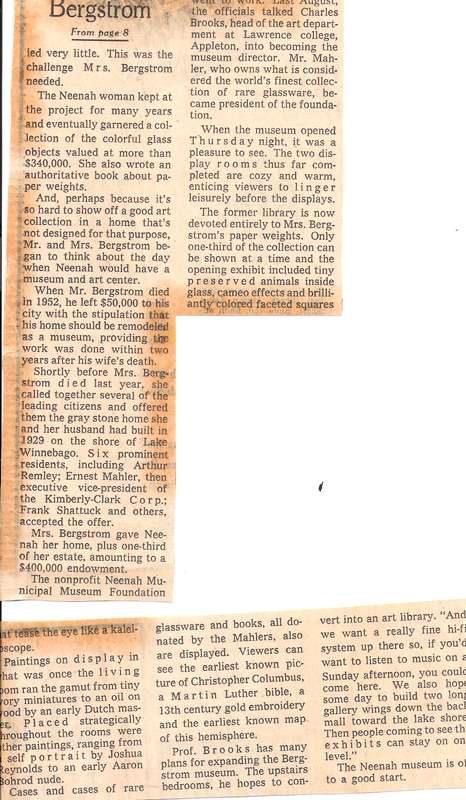 Evangeline Bergstrom’s love of paperweights began as a child. 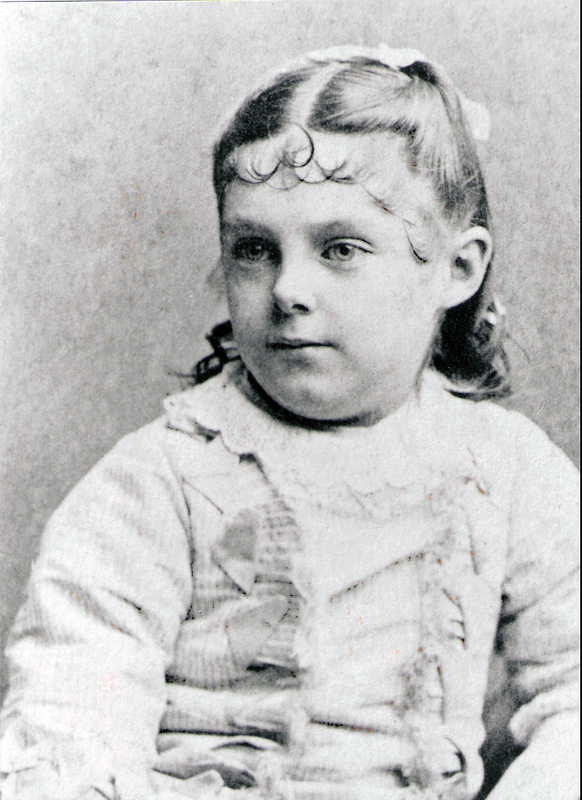 She was born in Ithaca, NY on May 23, 1872 and was the only child of Dr. and Mrs. George W. Hoysradt. 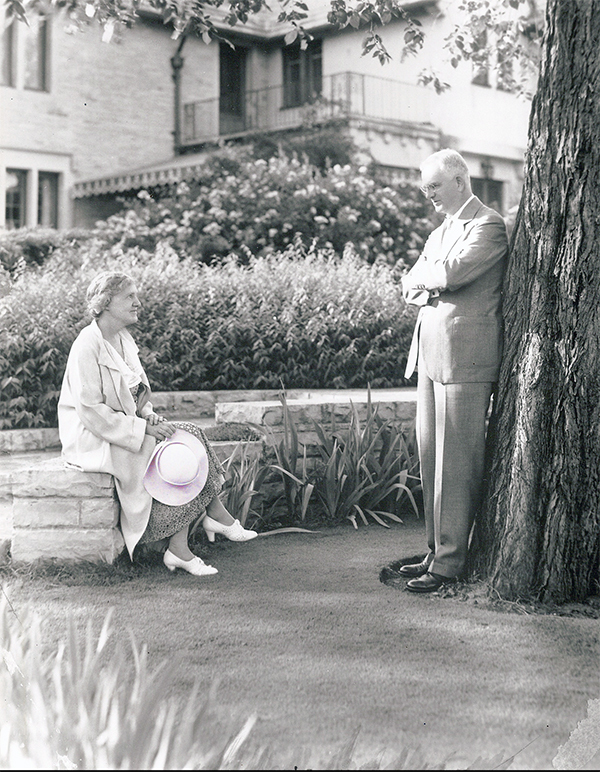 During visits to her grandmother’s home, a paperweight on a table in the parlor often held her attention. 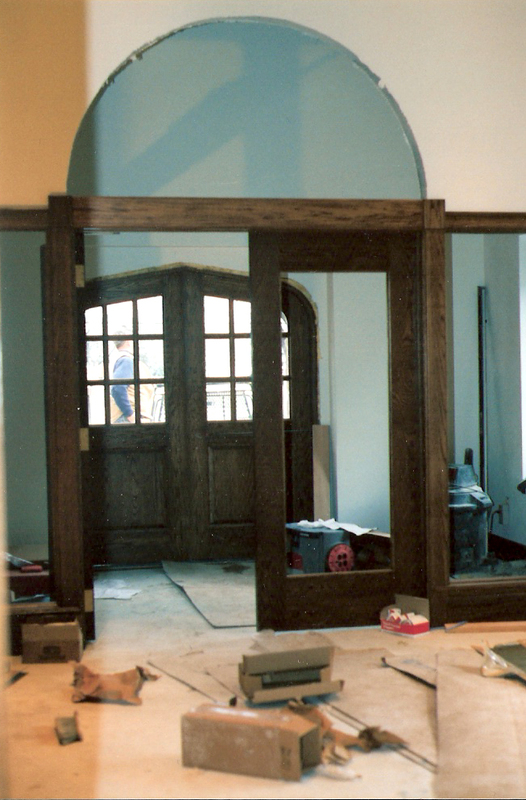 Being able to look at the weight served as young Evangeline’s reward for practicing her piano lesson or reciting a poem. She spent much time studying the beautiful patterns and colors. 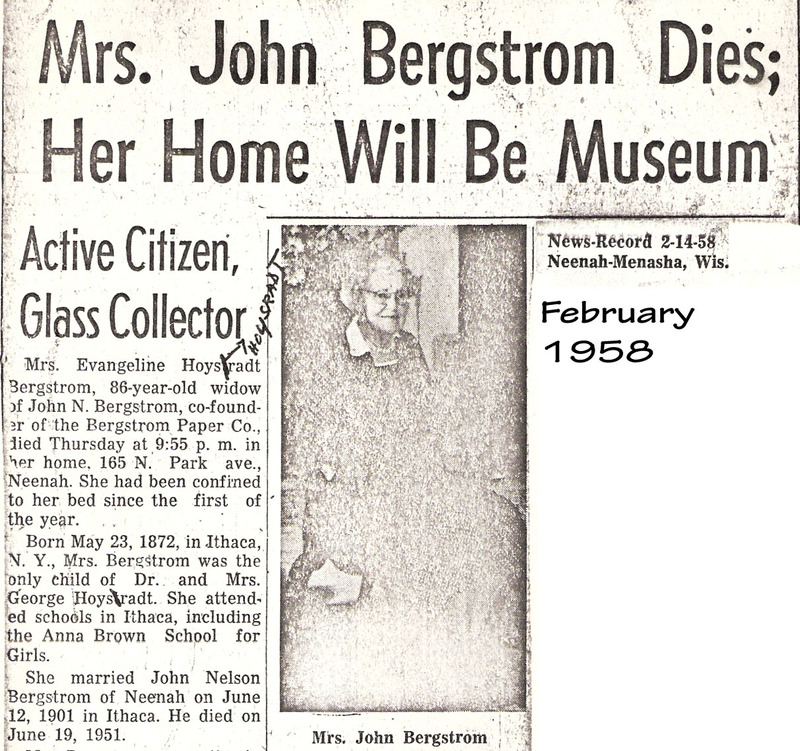 Years later, after her grandmother had passed and the family was disassembling the home, Mrs. Bergstrom searched for the paperweight as the one item she desired as a remembrance of her grandmother. 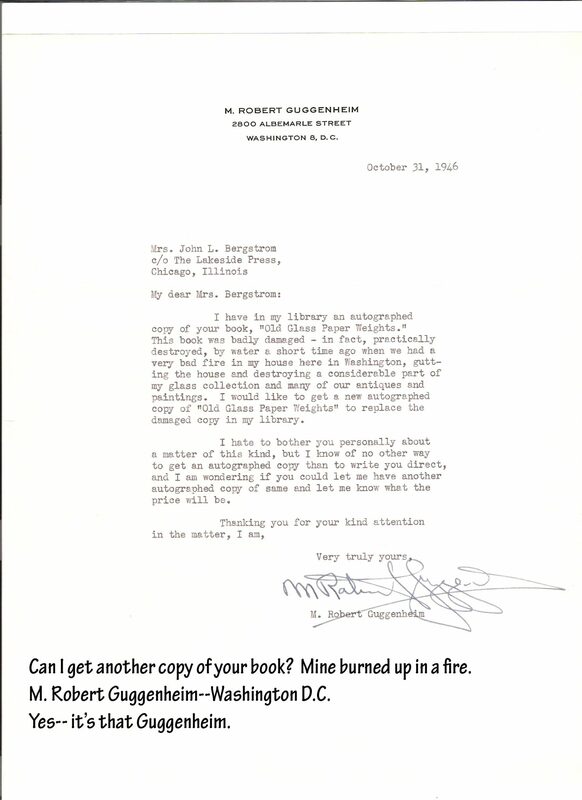 Unfortunately, the weight was lost, but she never forgot it. 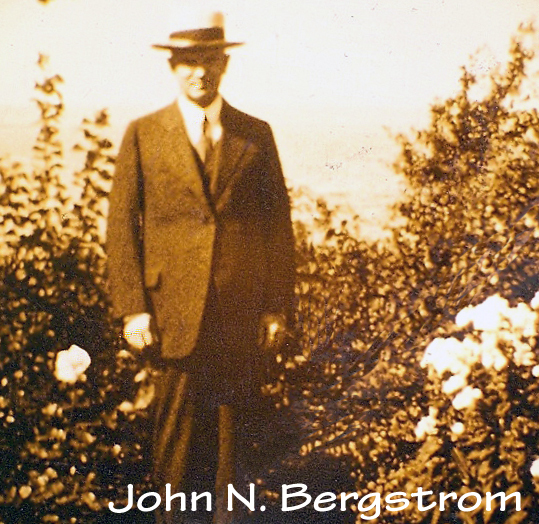 In 1935 during a winter visit to Petersburg, FL, Mrs. Bergstrom was on her way to a stamp exhibition when she noticed a sign for an antique show. 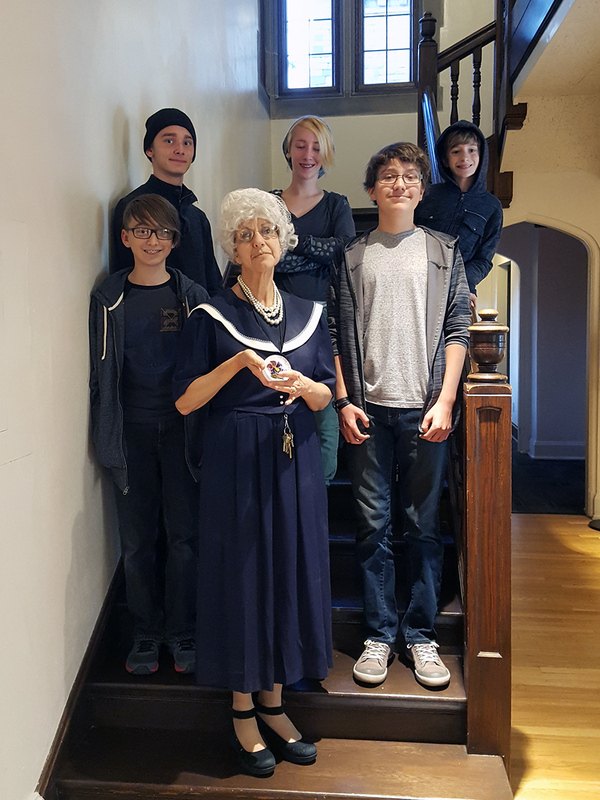 She ventured in, and discovered a weight similar to the one her grandmother owned. 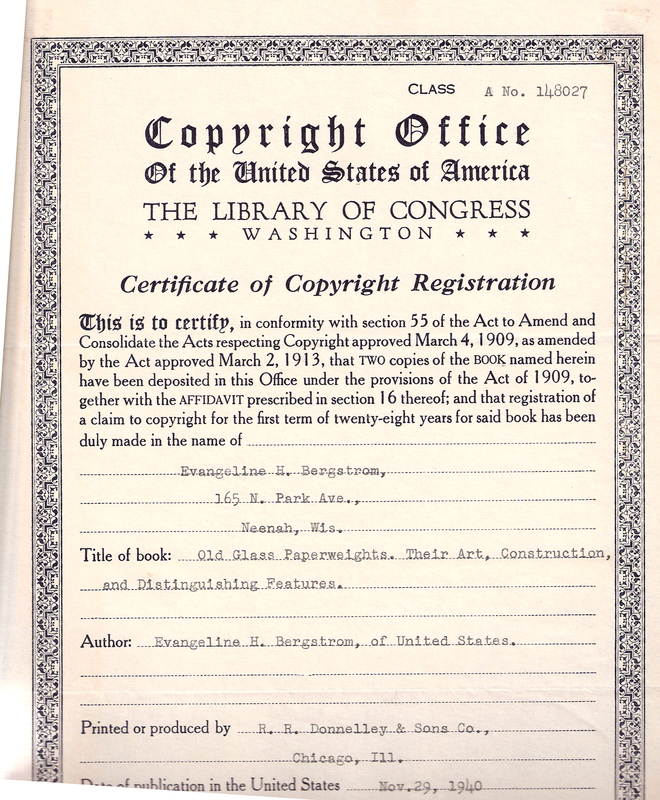 It was marked with a B and an 1847 date, which later she learned stood for Baccarat. 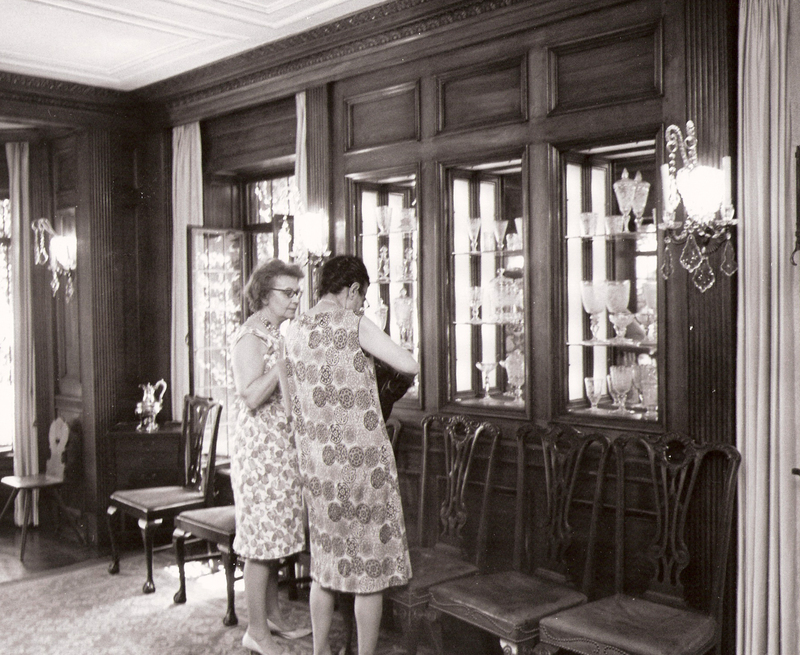 She purchased the Baccarat weight and one other. 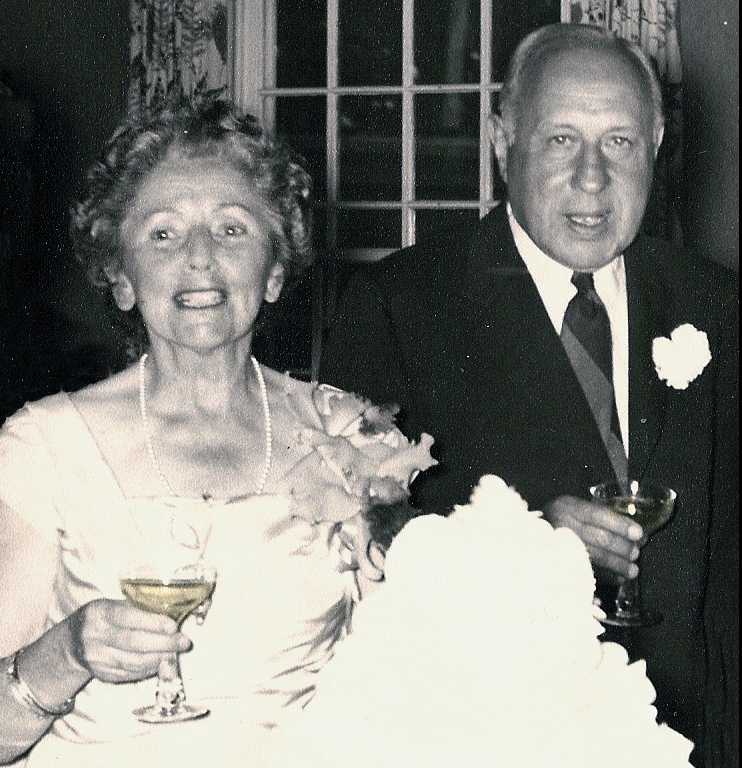 She was 63 years old, and from that time on she acquired any weight that attracted her. 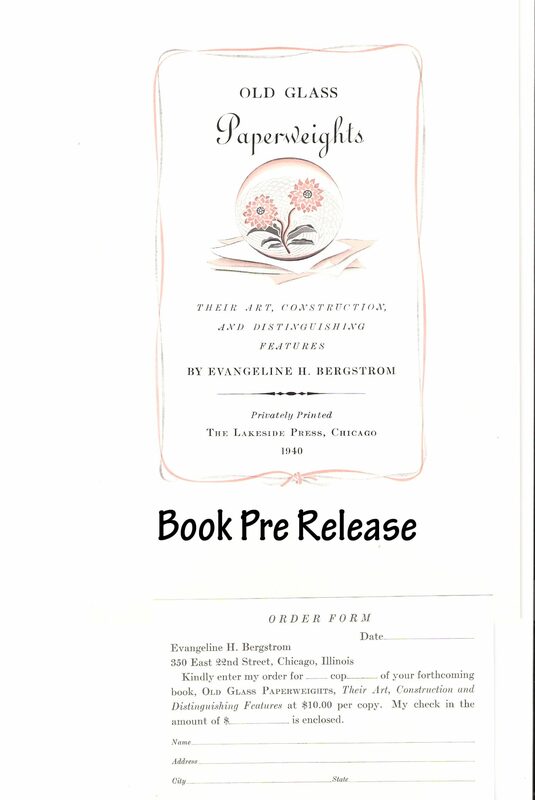 Within a short time, Mrs. Evangeline Bergstrom became an expert in antique paperweights. 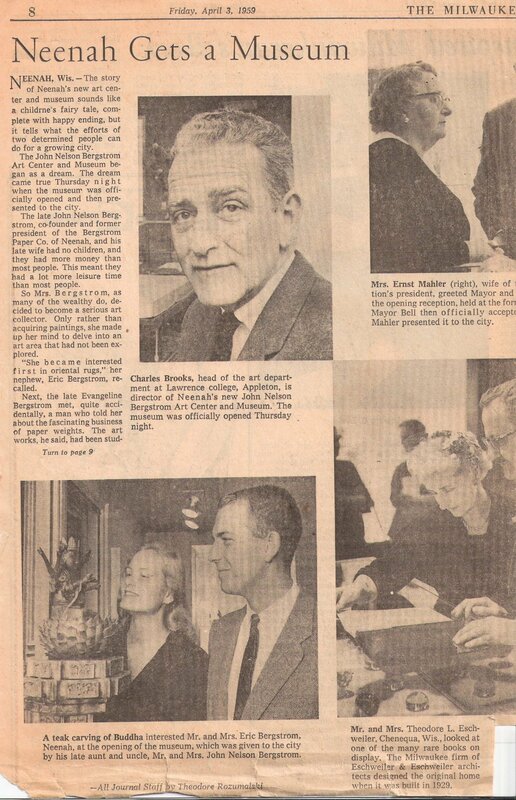 Her collection was exhibited at The Art Institute of Chicago in 1939. 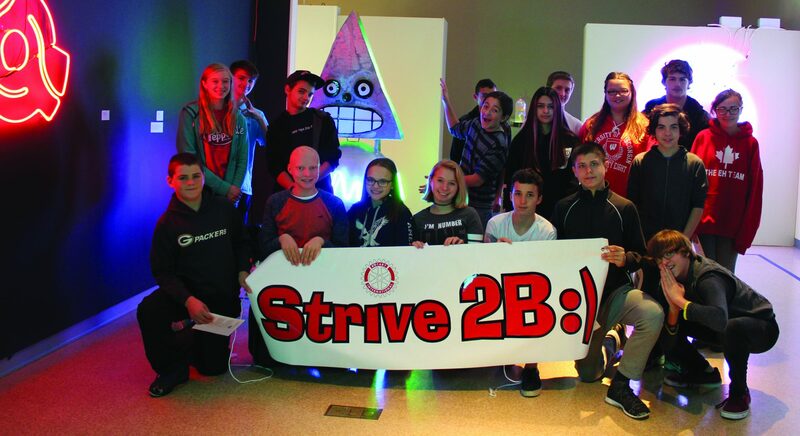 More than 200 weights were displayed. 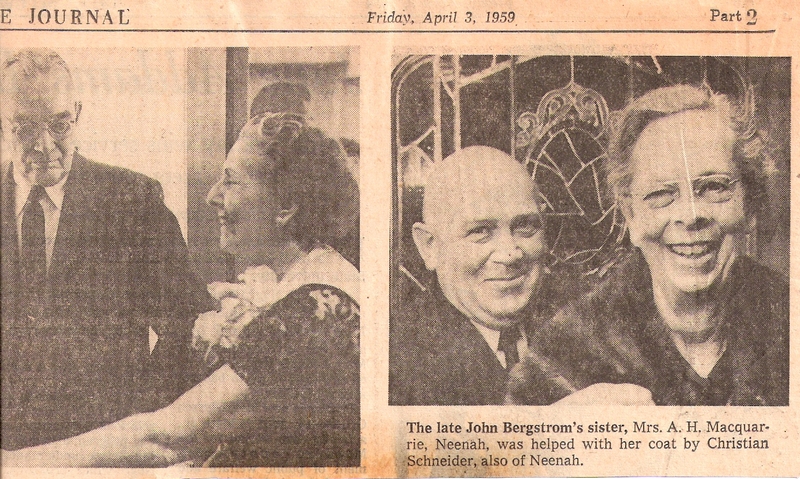 Mrs. Bergstrom appeared on a WGN Chicago radio talk show on November 24, 1942, after photos of her collection appeared on the cover of Hobbies Magazine. 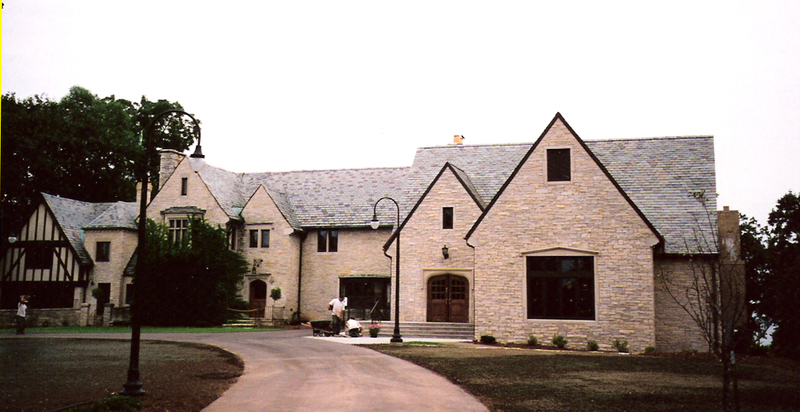 Requests continued for showings of the Bergstrom collection. 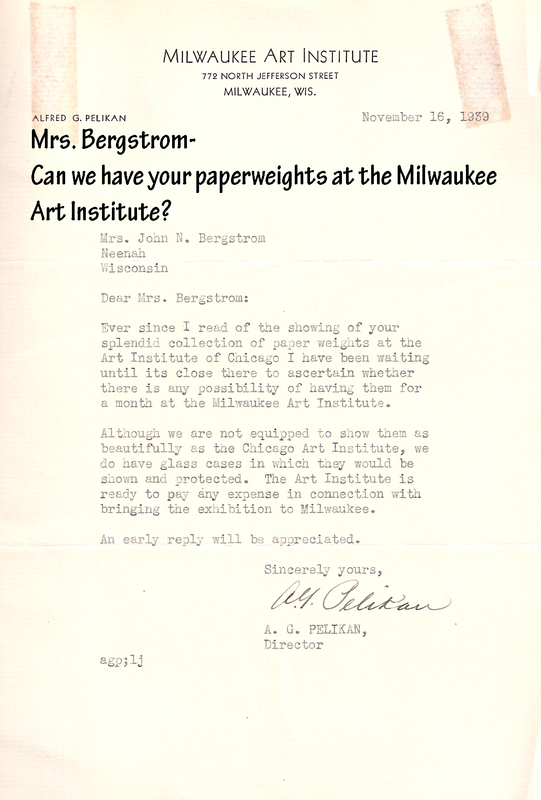 These included the Neville Public Museum in Green Bay, WI, in 1939, the Milwaukee Art Institute in 1940 and a plea from the Milwaukee Public Museum in 1949. 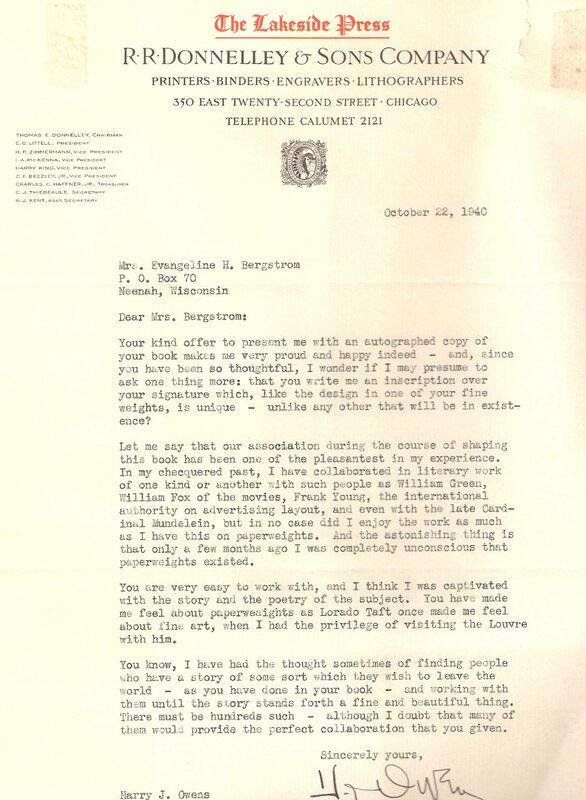 Fan mail poured in as personal letters sent to Mrs. Bergstrom thanking her for sharing the collection with adoring enthusiasts. 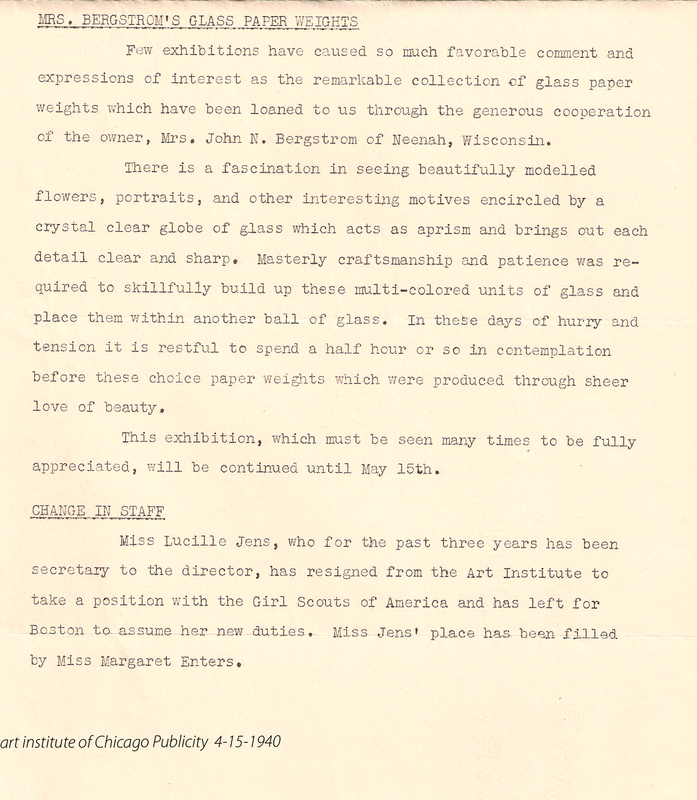 By Fall 1940, pre-publication information was released on Mrs. Bergstrom’s self-published book on glass paperweights from her own collection and research. 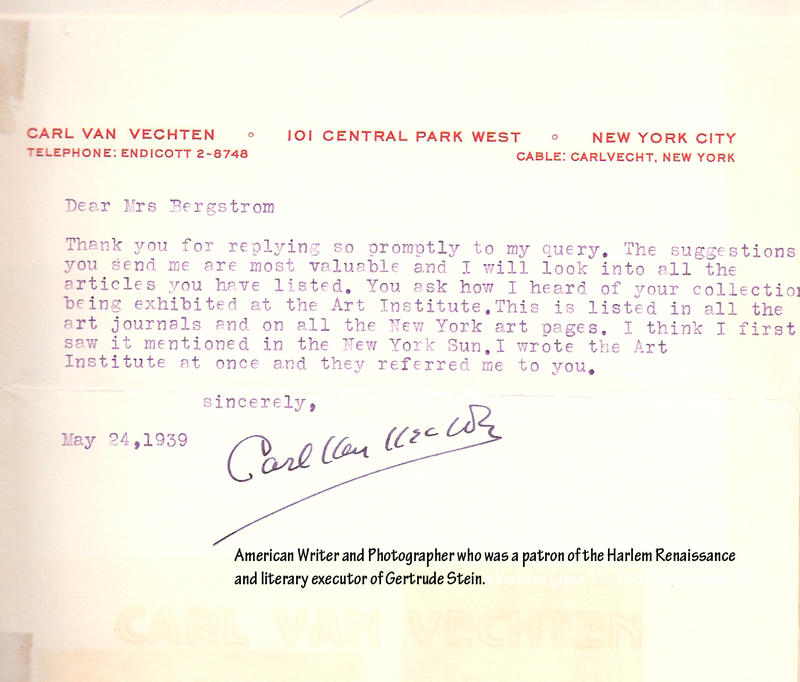 It was one of the most authoritative references of the time. 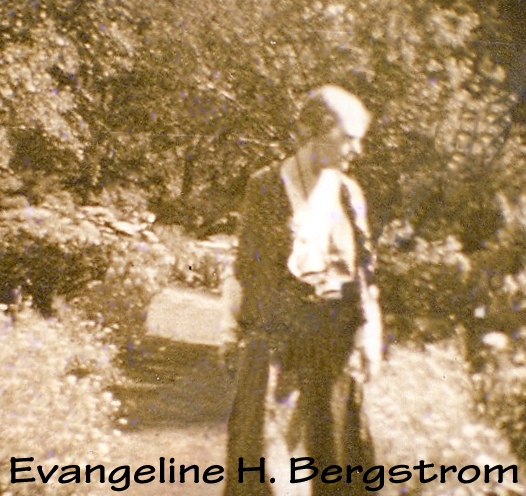 John Nelson Bergstrom was able to see his wife rise to this level of expertise, and was instrumental in preserving Evangeline’s efforts, primarily between 1935 and 1944. 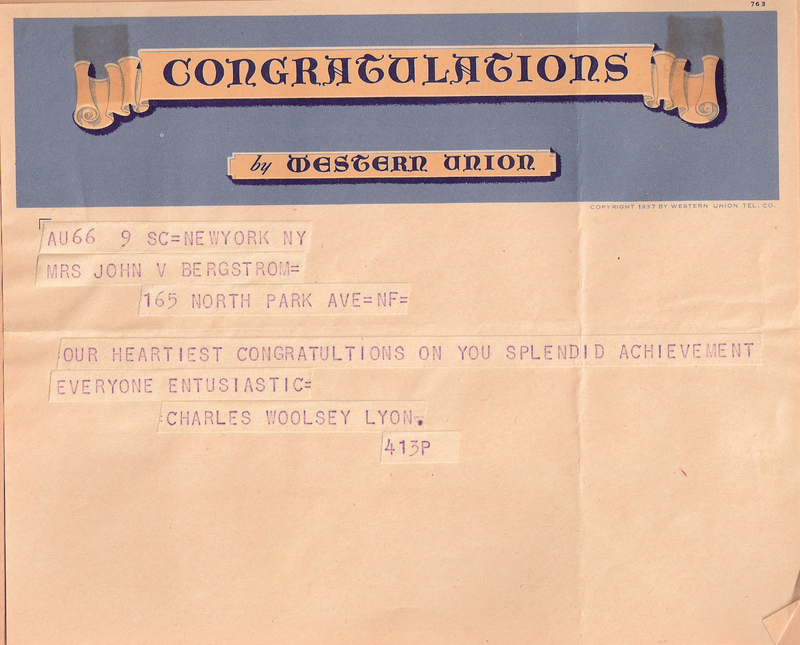 He passed away in June 1951. 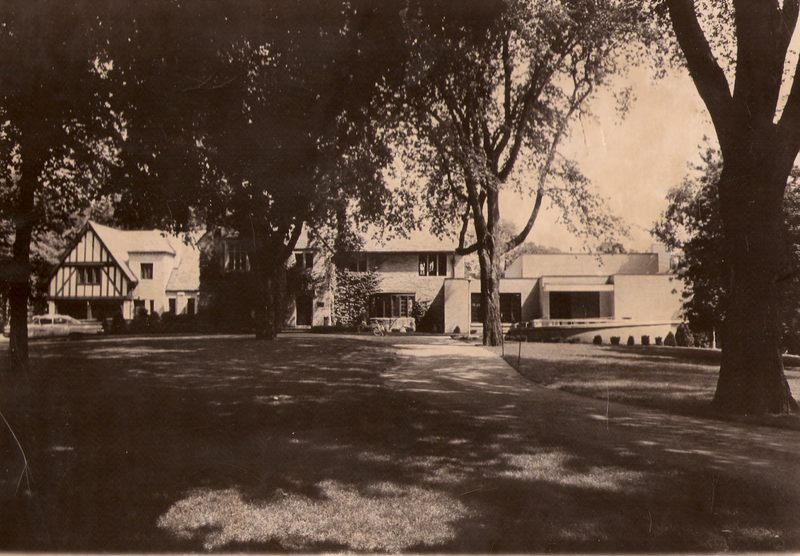 In his will he directed that his residence on the shore of Lake Winnebago be left to the City of Neenah to become a museum after Evangeline passed. 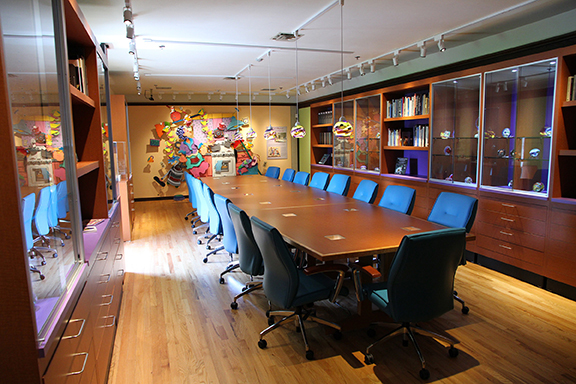 The museum would be open to the public with free admission to everyone. 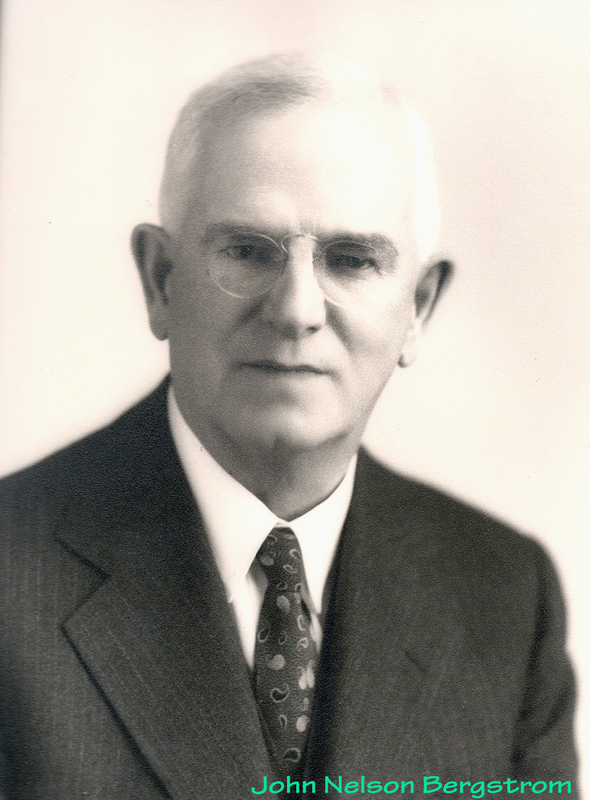 Planning for the opening of a museum commenced in 1954, and Ernst Mahler was elected chairman of the effort to found the museum. 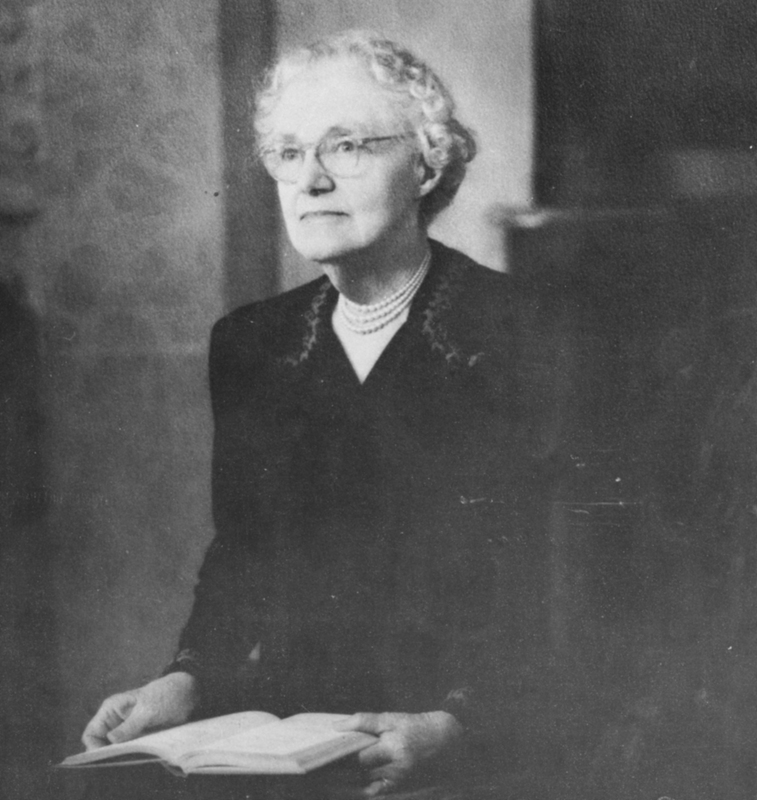 Other founding member included Evangeline Bergstrom, Carol Mahler, Mayor Carl Loehning, Mrs. Jessie K. Clark, Mr. and Mrs. S. F. Shattuck, Mr. and Mrs. J.C. Kimberly, Miss Helen E. Babcock, Miss F. Elizabeth Babcock, Mrs. H. E. Babcock, and Mr. Arthur P. Remley. 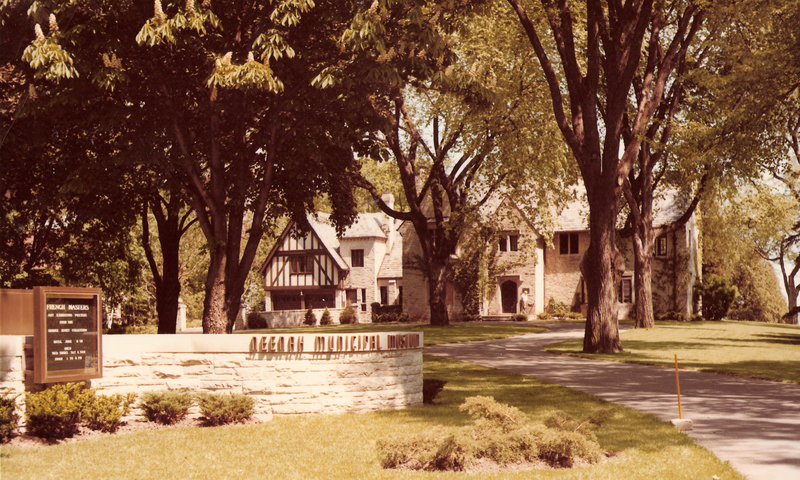 In 1956, the City of Neenah Municipal Museum Foundation was granted 501(c)(3) status from the IRS. 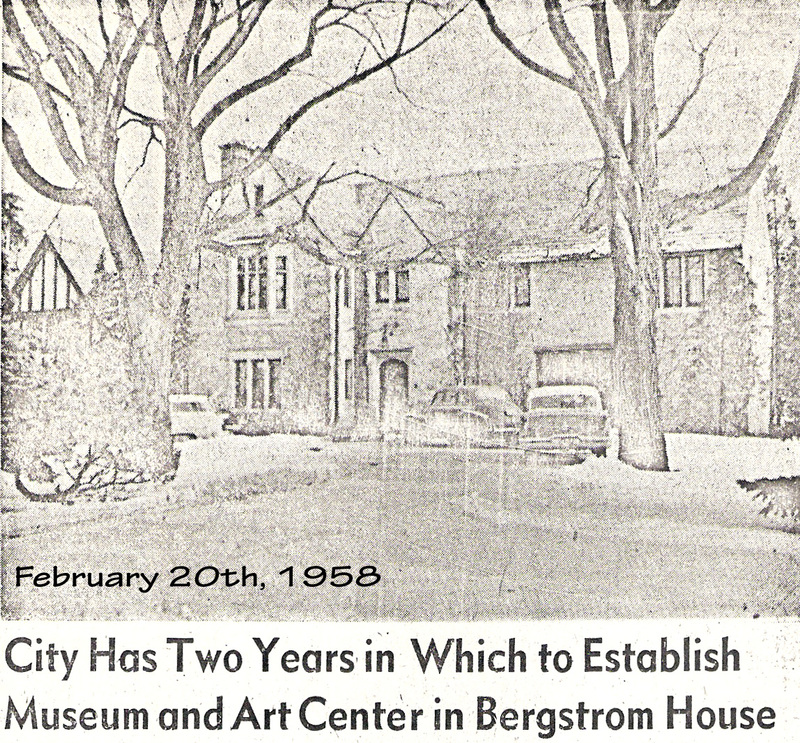 After Mrs. Bergstrom passed in February 1958, the museum’s founding members had two years to open the museum. 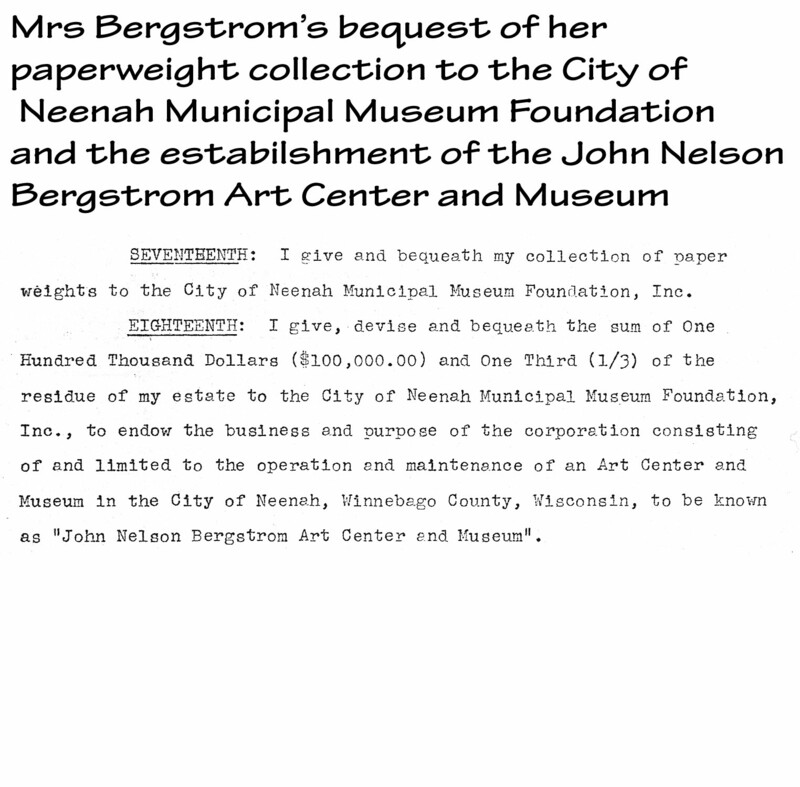 Mrs. Bergstrom bequeathed her entire collection of paperweights (about 630 weights), a sum of $100,000, and one third of the residual of her estate to the museum foundation for the operation and maintenance of the John Nelson Bergstrom Art Center and Museum. 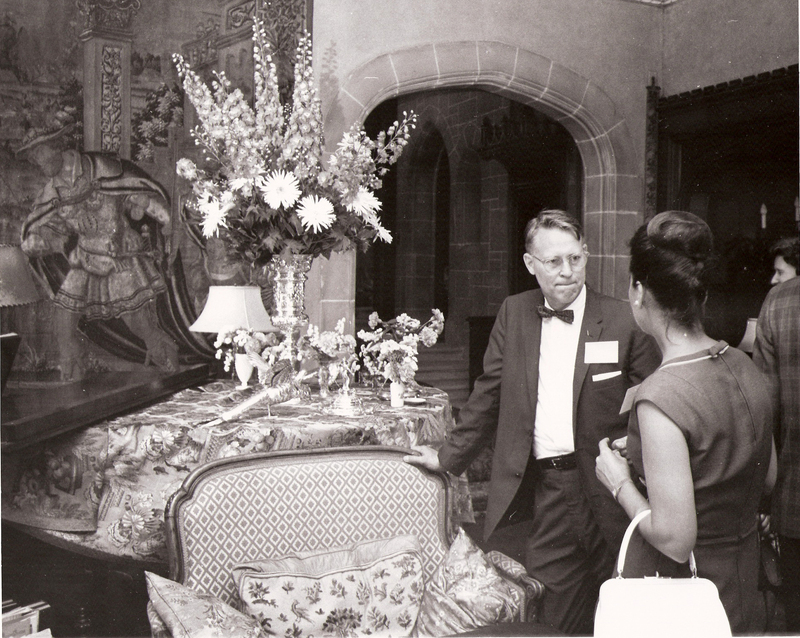 Ernst and Carol Mahler were instrumental in the development of the museum though their organizational and philanthropic efforts. 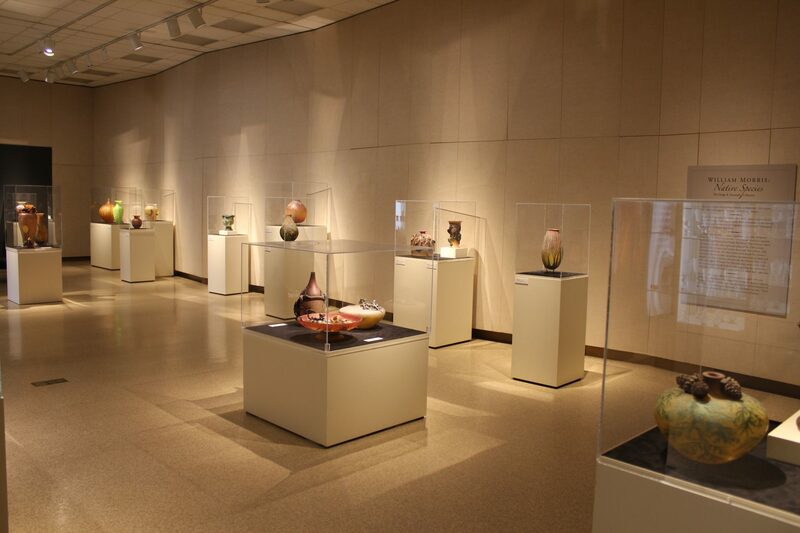 They donated the Mahler Collection of Germanic Glass which spans three centuries of glassmaking in Northern and Central Europe. 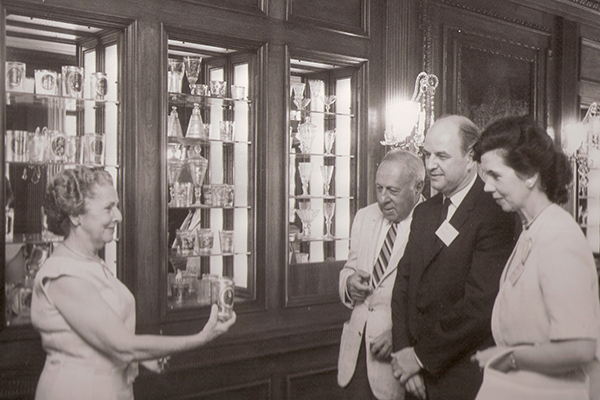 In the early 1930s Mr. Mahler purchased what was known as the Kurz Collection from an Austrian collector and presented it to his wife, Carol, as a Christmas gift. 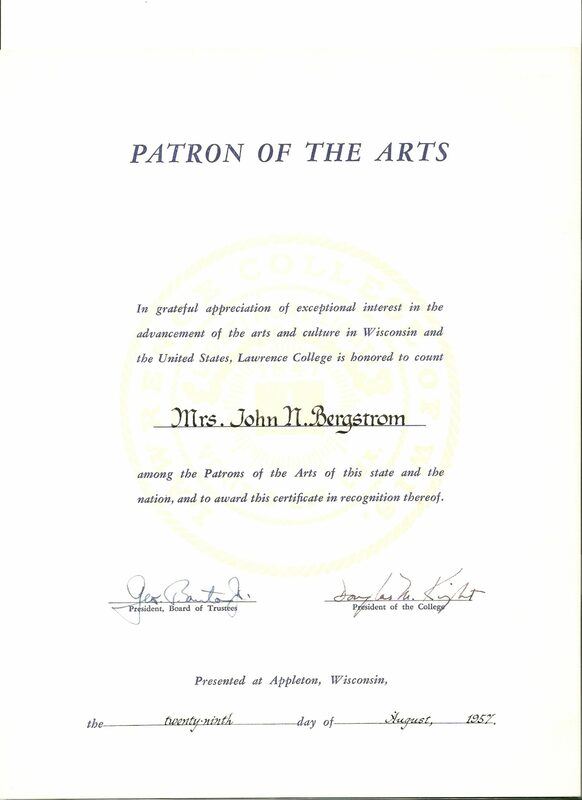 The John Nelson Bergstrom Art Center and Museum is known today as Bergstrom-Mahler Museum of Glass and the City of Neenah Municipal Museum Foundation is now a private foundation known as Bergstrom-Mahler Museum, Inc. 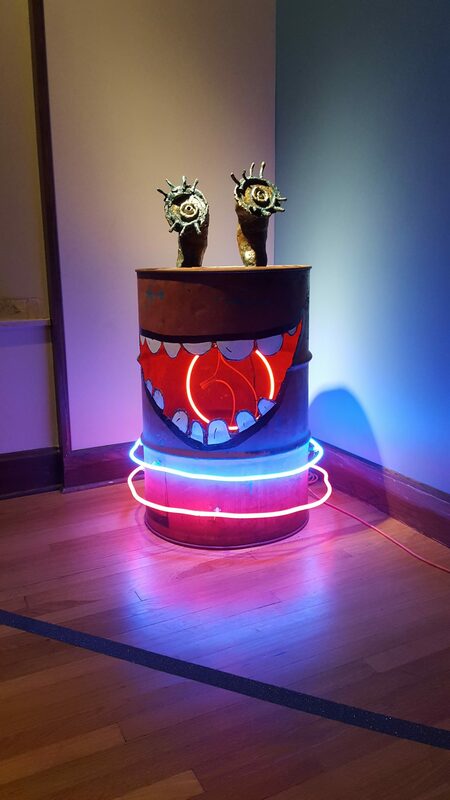 The foundation leases the museum building and property from the City of Neenah and operates a free, public art museum per the wishes of John and Evangeline. 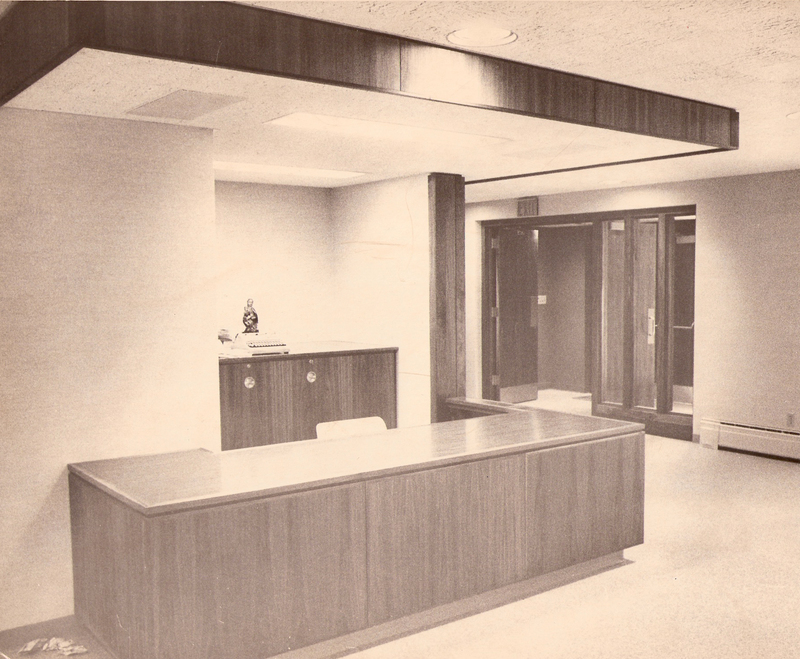 In the mid-1960s the first addition to the building was made to add what is known today as the Mahler and Kimberly Clark Galleries, as well as a reception area. 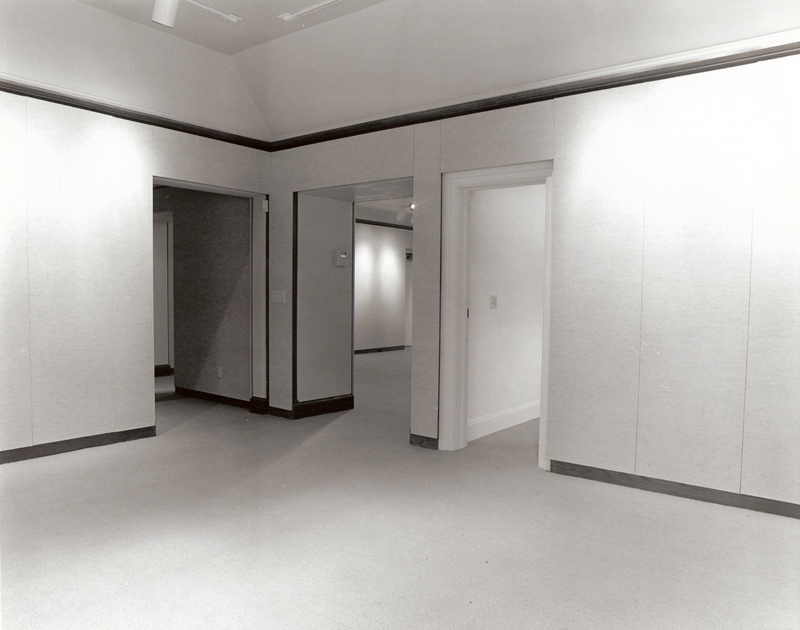 Gallery spaces continued to evolve as the building spaces were renovated from living quarters to exhibit spaces. 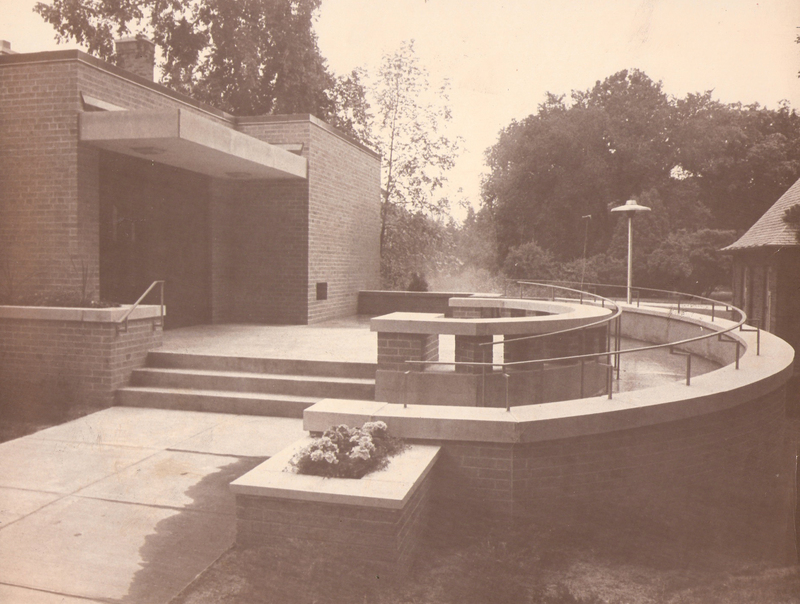 In the mid-1980s, galleries on the second level opened. 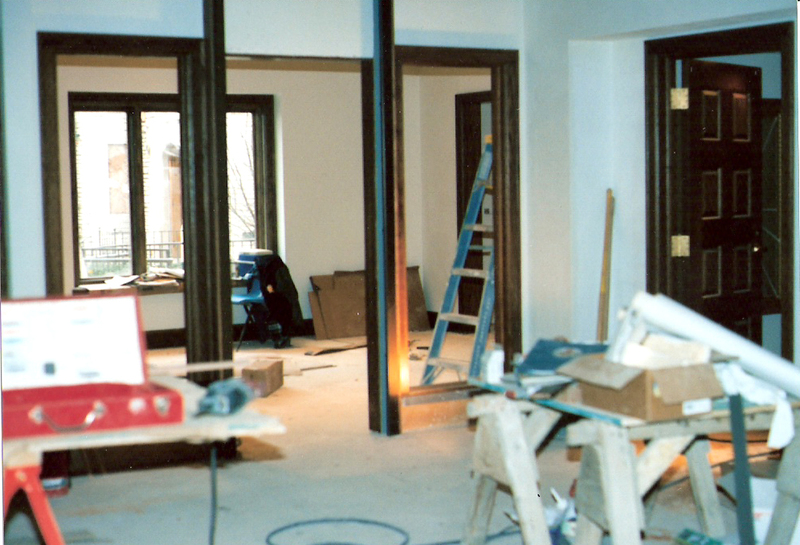 In 1997 an addition moved The Museum Shop from the basement to the entrance of the building. 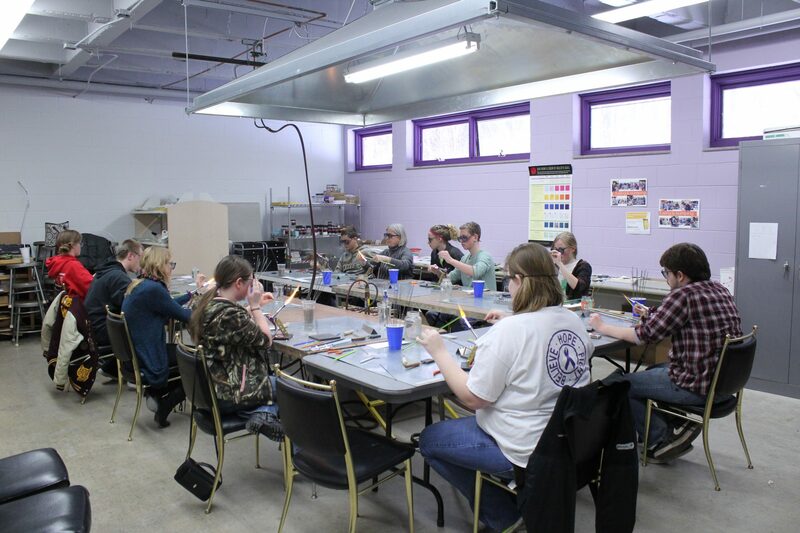 With an all-glass focus in 2012, new glass making classes necessitated equipment renovations to the lower-level education spaces. 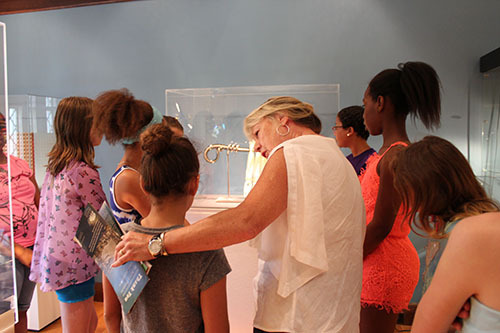 In 2014, The Mabel R. McClanahan Memorial Study Gallery opened, a gift from Gary and Marge McClanahan to honor Gary’s mother. 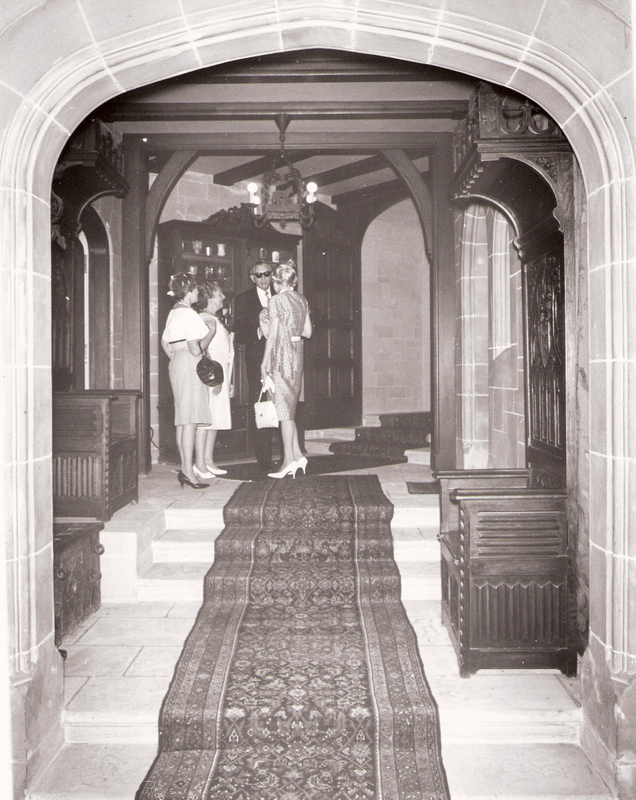 In 1959, the museum opened for three days per week and was staffed with volunteers. 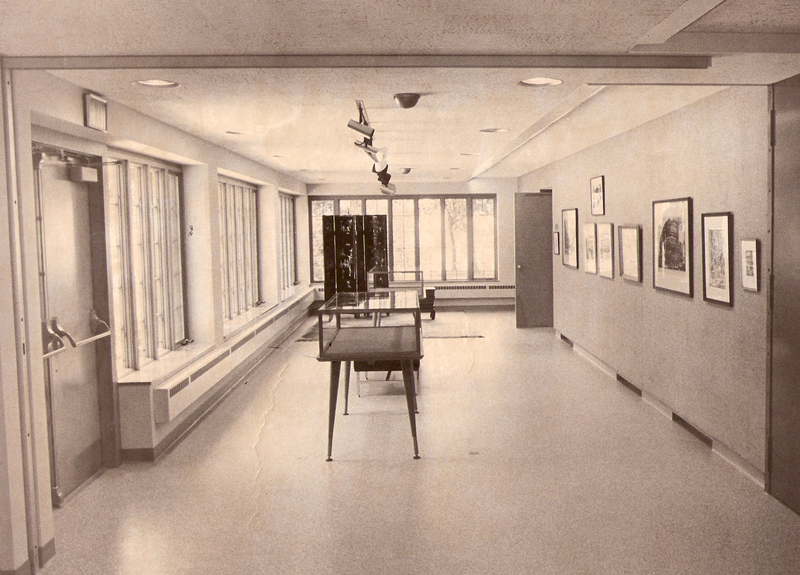 Exhibits in 1959 included a variety of visual art, including, 30 lithographs by Maybelle Stamper, a recent purchase of Aaron Bohrod’s Animal Kingdom, and a winter religious art show. 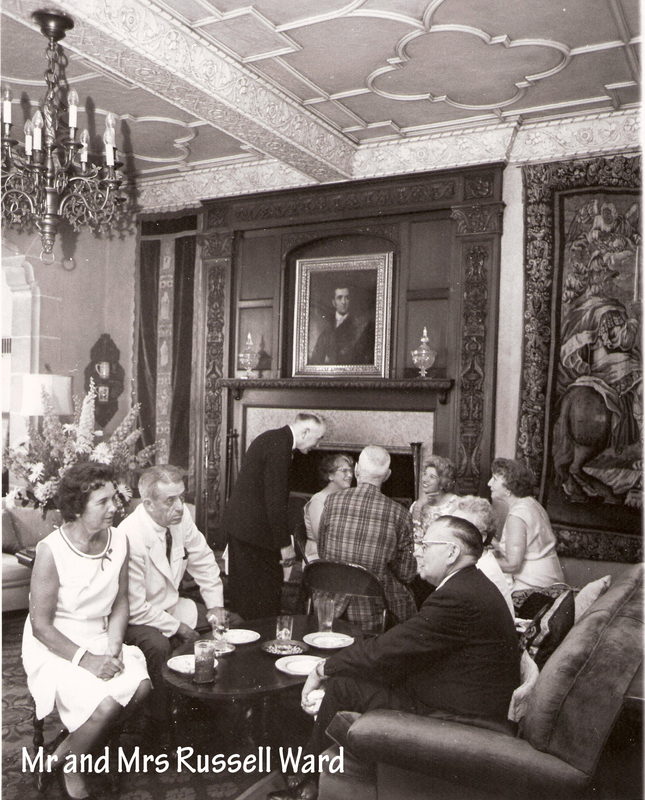 Museums at that time were largely regarded as social clubs for high society movers and shakers. 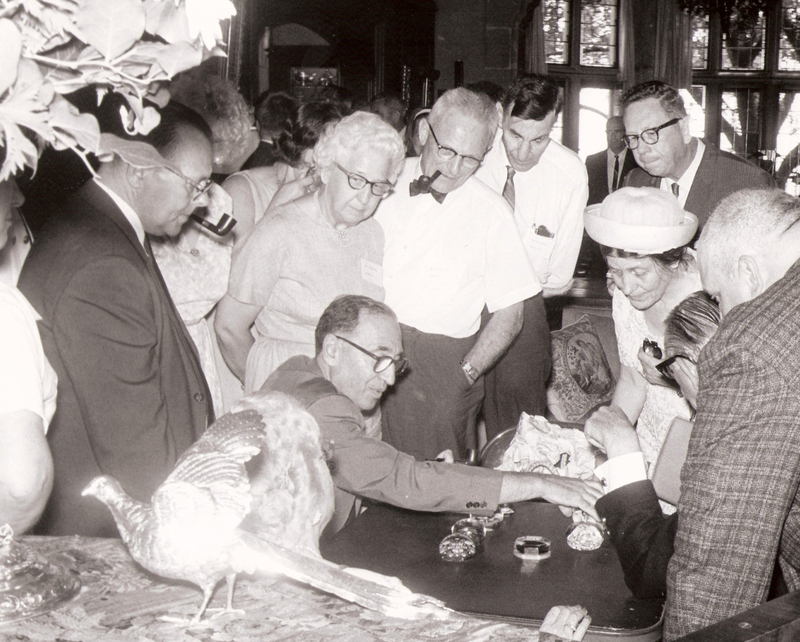 With the largest collection of glass paperweights in the world, the museum became the center of the paperweight collecting universe. 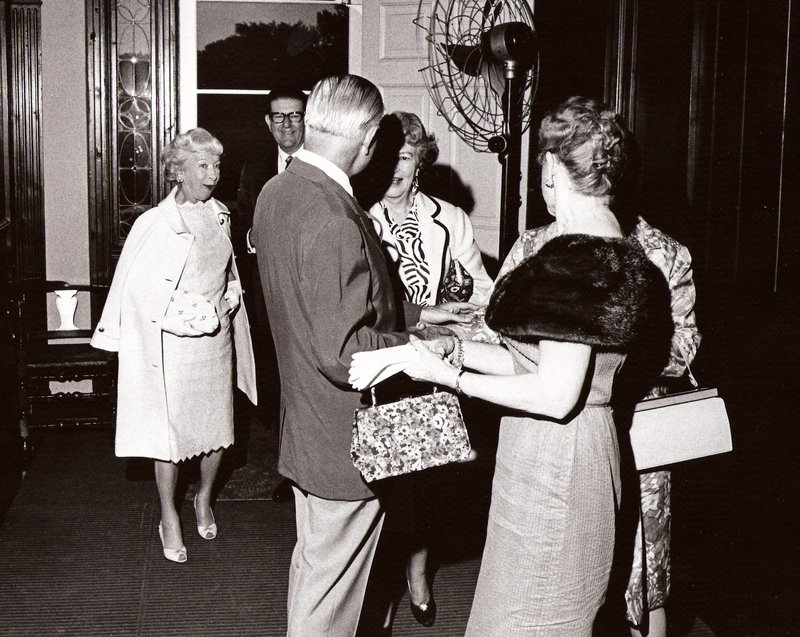 In 1964, the museum hosted the first of many symposiums that drew participants from across the continent and Europe. 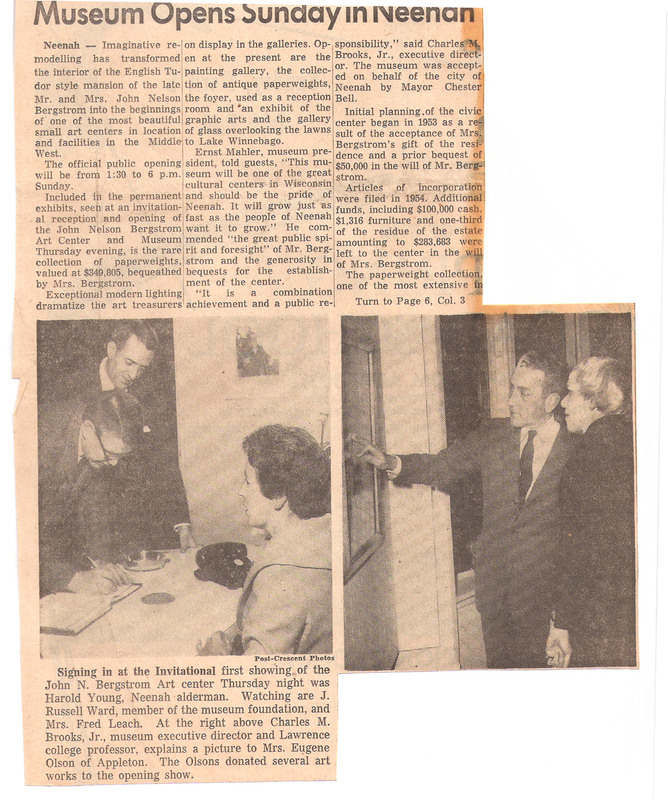 Sixty years later, the museum remains a world-renowned destination for paperweight collectors and exhibitions focus solely on glass art. 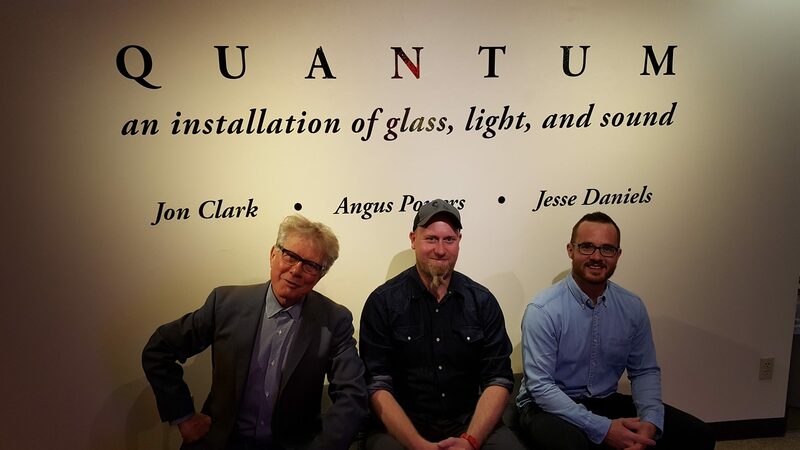 Since the museum began exhibiting only glass in 2012, staff has presented world-class exhibitions, including solo shows by renowned artists Paul Stankard, William Morris and Lino Tagliapietra. 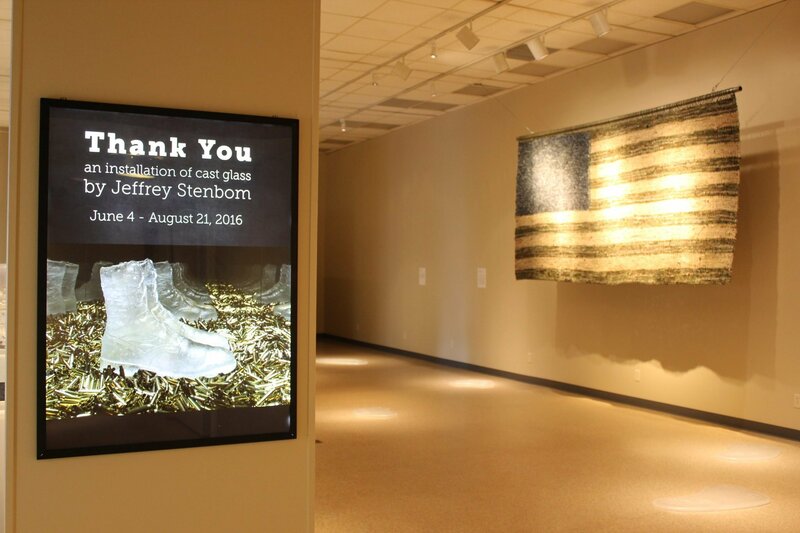 This year, exhibitions center on glass artists using their work to address societal issues of diversity and inclusion. 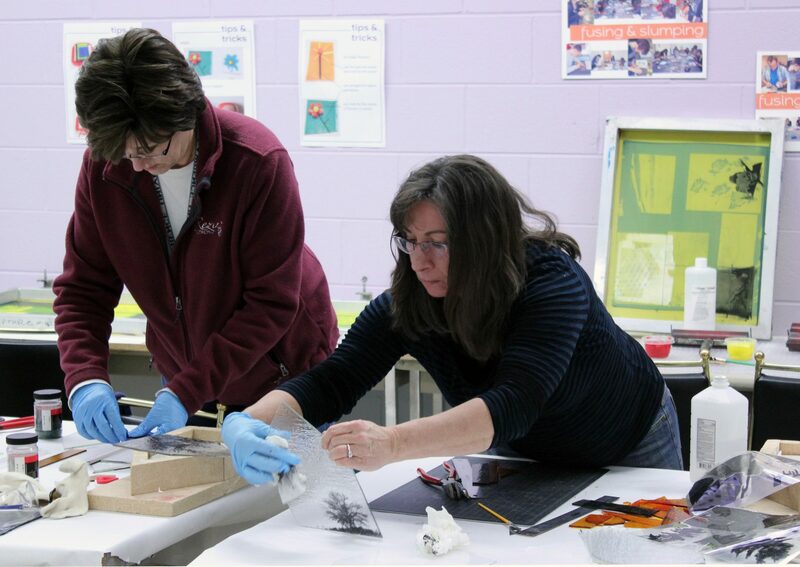 As has been a museum tradition, art classes in pottery, drawing and painting had been offered to the community for more than 40 years. 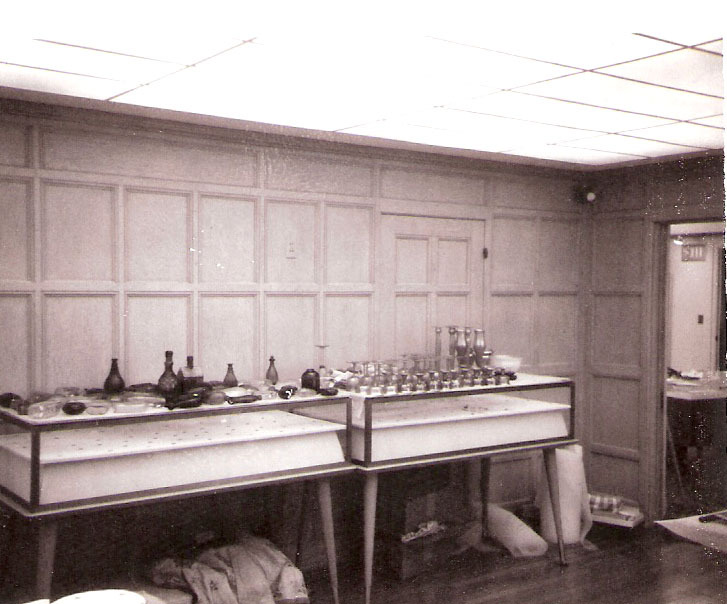 As the museum developed its position as a glass museum, so grew classes in glass making. 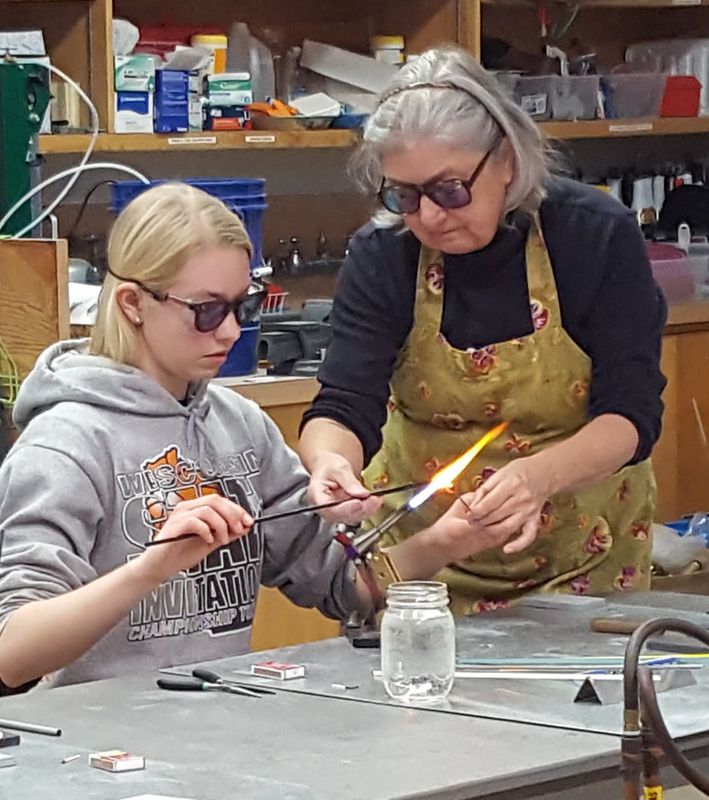 Both youth and adults can learn to fuse, flamework, and paint on glass in our classes and camps. 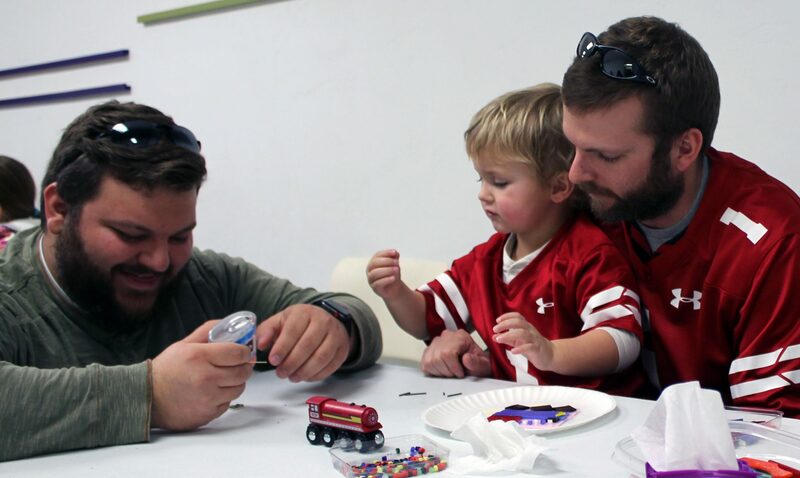 One Saturday per month, people of all ages are welcome to make a pre-designated glass project during Art Activity Days. 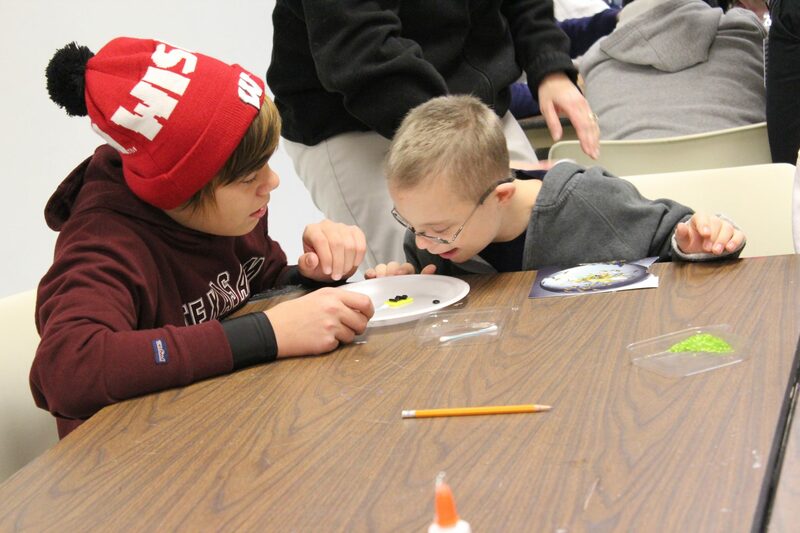 Beyond teaching art-making techniques, museum staff now use objects and activities to include special needs students, empower young teens, welcome new audiences who didn’t believe museums were a place for them, give respite to families experiencing domestic violence, and create positive activities for adults experiencing cognitive decline and their caregivers. 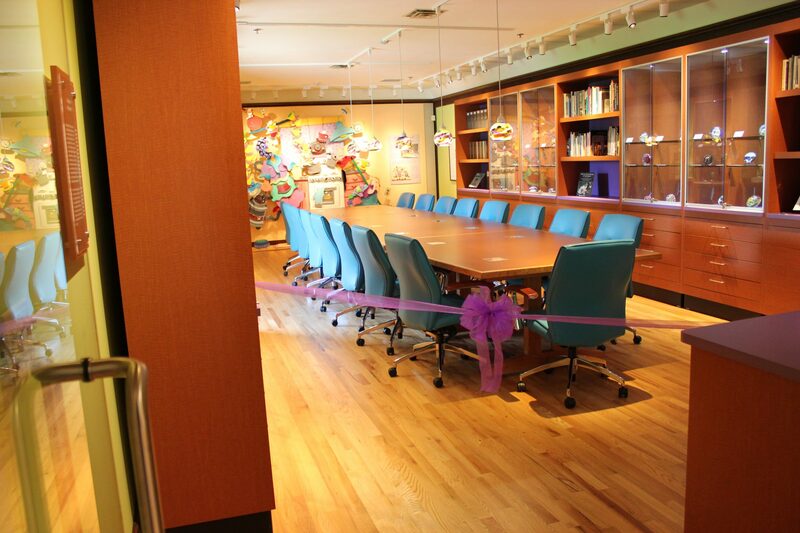 The current staff is honored to be part of the museum’s history and we look forward to nurturing the growth of the organization as it meets the needs of our community and beyond. 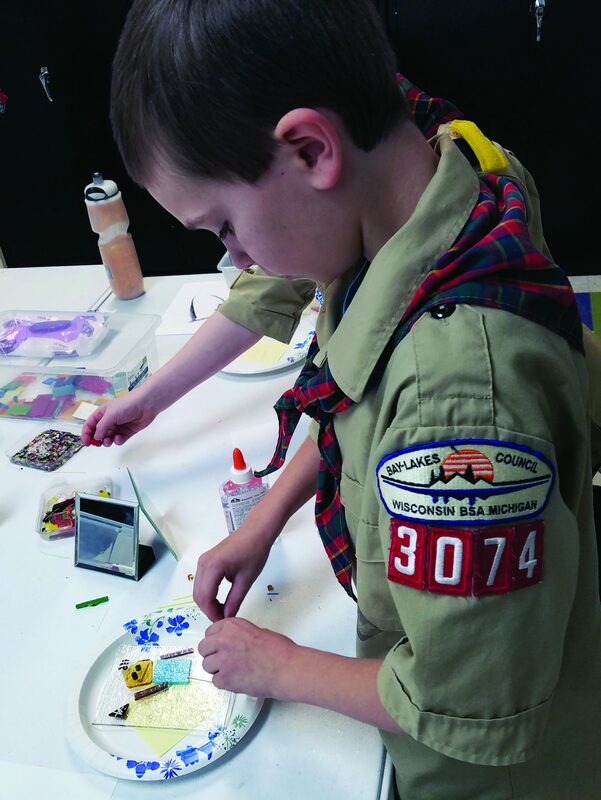 Look for events to celebrate the 60th anniversary throughout 2019.